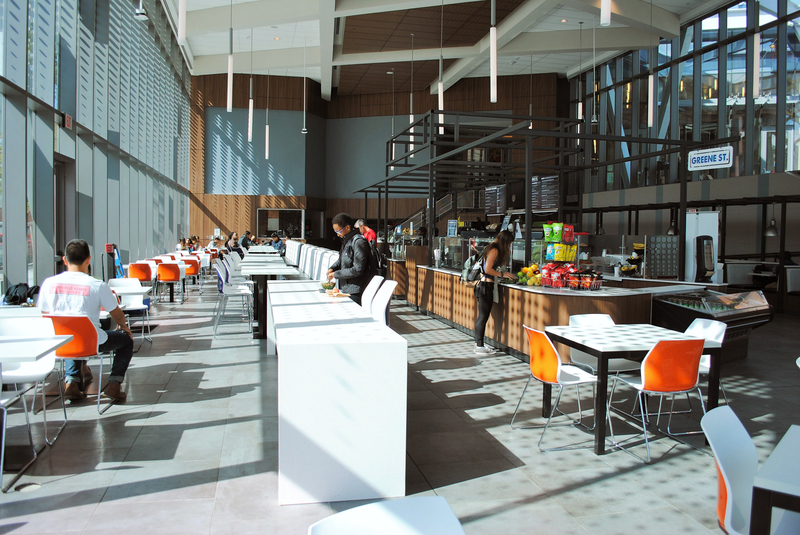 Opened in September 2015, the Drexel University Urban Eatery dining center showcases six food stations, food made fresh in-house and the longest daily operating hours of any campus dining location. Located under The Summit at University City, Drexel’s newest campus-affiliated housing unit, the Urban Eatery is within a few blocks of freshmen and upper-classmen student housing. Operating as a retail-friendly location, Urban Eatery is not exclusive to students with meal plans. Anyone may dine at the center and pay with credit or cash. Those with meal plans may use their dining dollars on distinctive items, or engage in Meal Exchange—a program that gives students a specified entree, drink and dessert in exchange for one meal swipe. The payment flexibility found at the Urban Eatery correlates to a more customizable set-up for meal plans. According to the facility’s lead brand ambassador, Jack Bradley, this makes meal plans more practical. Bradley had worked for Drexel Campus Dining during the spring-summer co-op cycle and has continued to work part-time while resuming his studies as a finance junior this fall. The hours of operation from 7 a.m. to 1 a.m. on weekdays and proximity of the Urban Eatery to many residence halls have contributed to its popularity as a breakfast and dinner or late night snack locale, Bradley said. In addition to this, a back entrance with an elevator gives students direct access to the Urban Eatery from The Summit. The stations open until 1 a.m. include Downtown Grounds, Greene St., Vespa, and Ignite, while Street Fare and SoLa Deli close at 8 p.m.. These stations offer late night treats after 10 p.m., including breakfast items, according to Resident District Manager Bill Cunningham. By night, Greene St. transforms into Greene St. Creamery, where Bassett’s ice cream is served. Bassett’s, a local Philadelphia icon, is the oldest running ice cream company in America. During the day, the various stations offer different selections. Greene St. is a salad station offering specialty salads and smoothies. Downtown Grounds is the cafe of the dining center, offering hot tea and coffee as well as bakery items. The coffee is sourced from Sun Coffee Roasters. 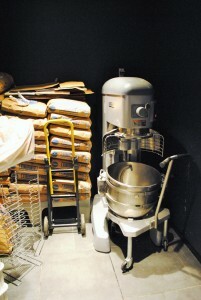 “Sun Roasters is very eco-friendly socially responsible. A lot of their machinery and their products are recyclable or made from recycled materials,” Bradley said. Walking into the lower level, one first finds Vespa, a Mediterranean and pizza station. An assortment of lasagna, meatball sandwiches and extremely popular cannoli are offered as well. Customizable pizza is also available. 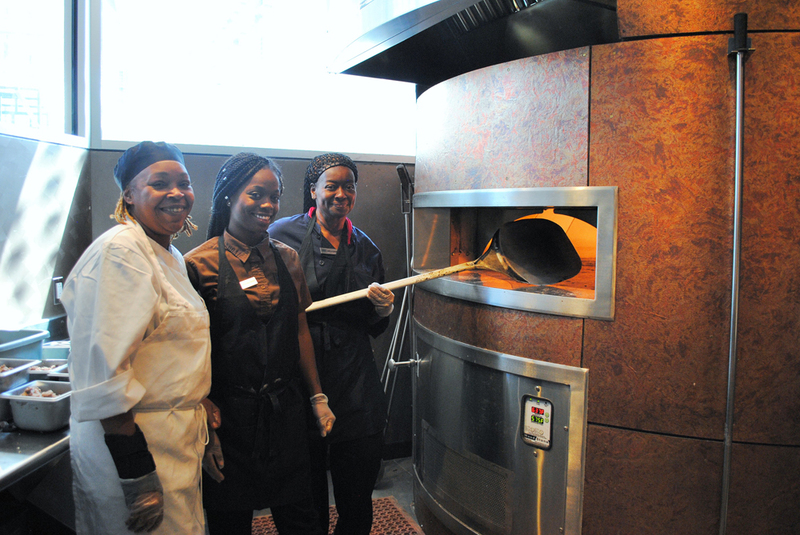 Vespa also sports a working brick oven in which all the pizzas and hot meals are cooked. SoLa Deli, hidden around a corner offers custom made and personalized sandwiches as well as an array of pre-made and ready-to-eat sandwiches and wraps, including gluten-free and vegan options. “There’s something for everyone here,” Bradley said. He also pointed out that each station offers at least one vegetarian option every day. Walking over to Ignite, you can find a standard grill station that offers a specialty “Ignite Burger” with a Sriracha aioli, as well as seasoned fries and other on-the-grill options. Lastly, Street Fare offers a variety of world cuisines. “When we were developing this, and we came up first with the name Street Fare, we said, ‘Well, what are some of the great international type of cuisines you might see in an urban setting?’” Cunningham explained. Soon, in addition to a standard menu, Street Fare will be offering specials that are only available for week at a time. Some of the standards there include curry chicken, basmati rice and an Asian-brined rotisserie chicken. Urban Eatery cooks all of its food fresh in house, including pizza dough made from scratch at Vespa, and the overnight-brined rotisserie chickens at Street Fare, but it also reaches out to entrepreneurial companies based in West Philadelphia to support them and their food products. Drexel Campus Dining has also created a partnership with The Enterprise Center. “The Enterprise Center is a local, non-profit agency; and their sole mission is to develop young west Philadelphia entrepreneurs in hospitality,” Cunningham said. Six times a year, Drexel representatives from the dining program make trips to The Enterprise Center where they mentor the students and entrepreneurs there. There is also a purchasing agreement that stands between the two entities. One of these entrepreneurs produces “Happy Hippy” foods, a company that makes and sells gluten free and vegan food. 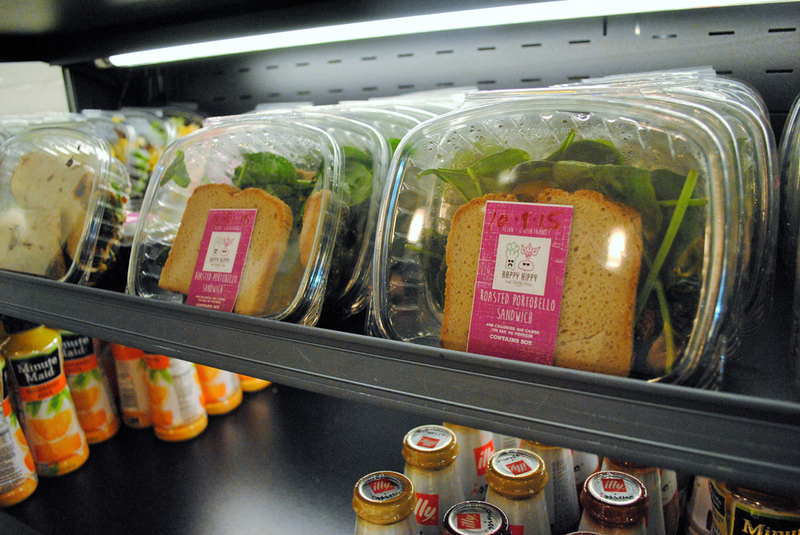 These products are displayed, ready to eat and on sale at SoLa Deli. In general, the concept behind Urban Eatery is to create an urban environment for various unique cuisines to find a place. “Everything here is not necessarily Philadelphia[n], it’s urban,” Cunningham explained. “We’re matching the urban campus to an urban concept,” he said. Cunningham went on to state that when plans for the Urban Eatery began the idea was to make it “second-to-none in quality and offerings” on Drexel’s campus. When Urban Eatery first opened, a total of about 65 new employees were hired as staff, including many from a non-profit organization in West Philadelphia called University City District. Cunningham expressed his desires for Urban Eatery to be a place where the community of West Philadelphia could connect.